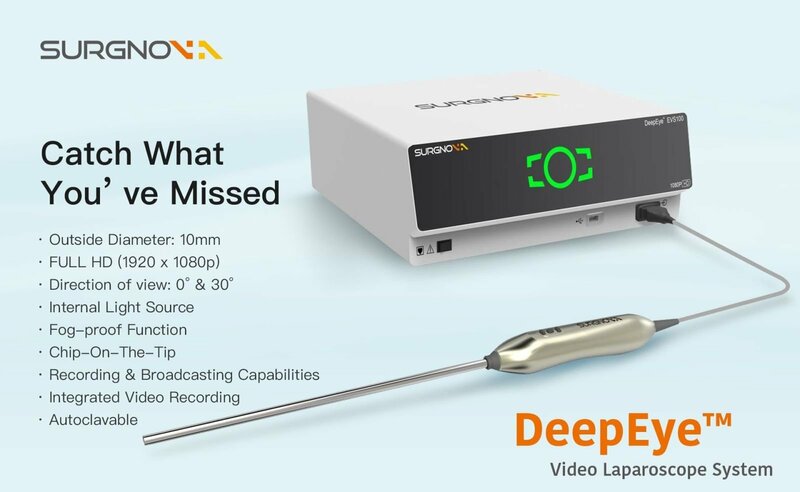 DeepEye Video Laparoscope System offers surgeons with state-of-the-art FULL HD image quality for various situations in operating procedures. More importantly, surgeons benefit most from the optimized procedural view, powered by the world-leading fog-proof technology. Besides, the internal light source and multiple functions of DeepEye provide surgeons with peace of mind and unmatched operation convenience.